Everyone knows how depressing winter can feel in Pittsburgh. Low temperatures, gray skies and unpredictable precipitation force many to retreat indoors and suffer through long periods of inactivity while waiting for spring. The winter doesn’t need to be all bad, though. 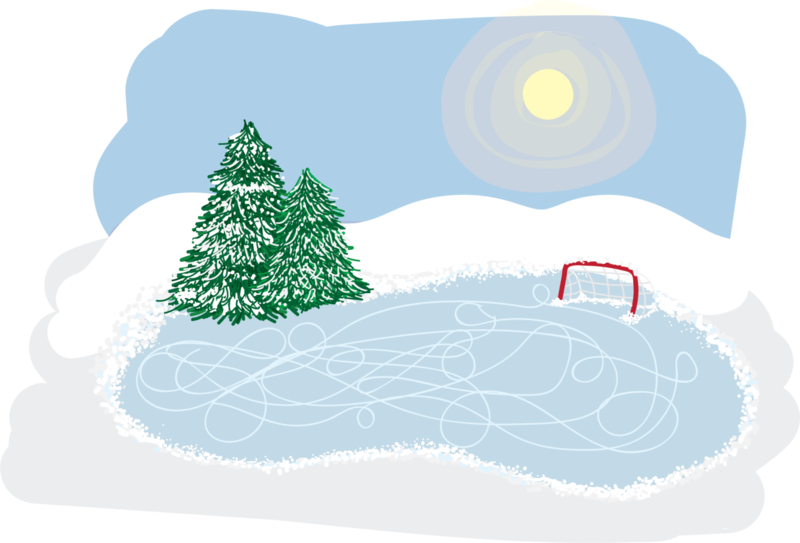 The Pitt News sports staff gave us their favorite winter recreation activities for when they’re feeling brave enough to step outside and face the weather. During the winter months, Pittsburgh offers a couple nice venues to skate, including a rink at Schenley Park. The most popular spot is probably the rink at PPG Place in Market Square around the giant Christmas tree that is lit every year. While I’m no Sidney Crosby, I like to make at least one trip out to the rink every year to skate around — or at least see how long I can last without falling. I am not an athletic person. Usually, when taken on a winter outing, it ends in 10 minutes before I start crying and asking my friends if we can just go drink hot chocolate instead. Cross-country skiing, though — totally different. What is more relaxing than strapping on some long shoes and just gliding through the forest? Nothing, that’s what. Cross-country skiing really gives you the opportunity to imbibe the beautiful winter scenery that comes with other winter activities, but without the danger of falling and breaking your legs, or something. Although Pittsburgh doesn’t get snow quite as often as I wish it would, it does get a few inches every now and then. On the days that it does, and if it is cold enough, it can be great to have a snowball fight. When I was a kid, if the snow was good enough to pack after school — or during a snow day — my friends and I would spend hours fighting. It’s a fun way to get outside in the cold weather and enjoy yourself, especially after cracking someone in the head with a big chunk of frozen water. Building a snowman is an art that took years of experience to master. To check the viability of snowman-building snow, I relied on the “crunch test.” If the snow made a crunching sound when I stepped on it in my boots, I knew the snow was perfect for building a snowman. Once I knew the snow was ideal, I usually recruited my sisters as assistants. Each of us rolled a different body part of the snowman — the base ball, the torso ball and the head ball. Using extreme caution, my oldest sister, usually, carried the torso and head onto the base of the snowman while my other sister and I packed in snow at each connection point to act as “snow cement.” Once each ball was connected, we would rip off some branches from a tree to serve as arms, and find three rocks to give our snowman eyes and a nose. Finally, we raided our dad’s closet for hats, gloves and scarves to finish off decorating our buddy. While building a snowman didn’t give me the immediate joy of an activity like sledding, the sense of accomplishment I felt looking at my snowman was one of a kind. Tubing is great if you like feeling like a sardine being canned on a conveyor belt, followed by five seconds of joy — it’s a testament to the low threshold of entertainment in the wintertime. Tubing isn’t all bad, though. As a child, it’s really fun — a few moments flying down a hill larger than you can fathom is equal to a lifetime of excitement. The time spent trying and failing to hook up to the rope and slide slowly up the slushy, bite-size alps afterward is gone in a flash. With age, tubing is a great excuse to avoid dying with speed-demon friends racing down double black diamond trails without ski poles.